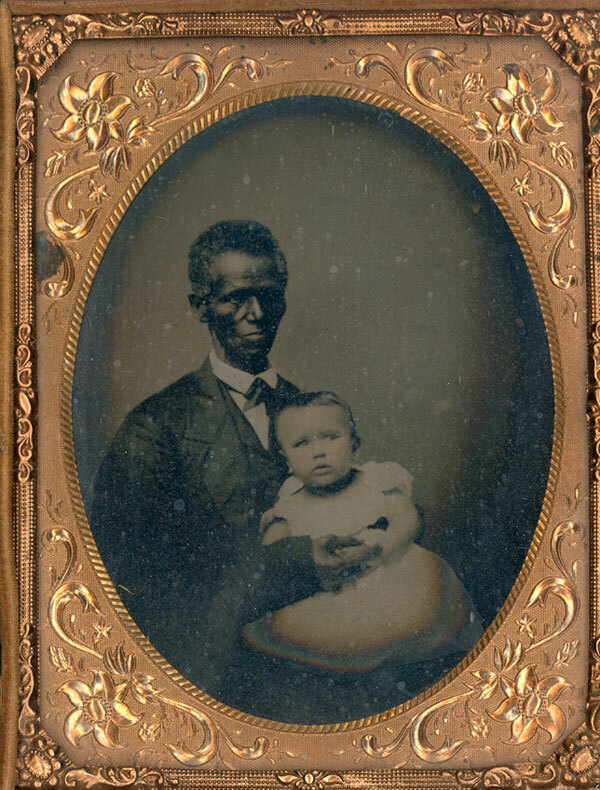 Charles Syphax, husband of Maria Syphax, holding his grandson, William B. Syphax. He oversaw the dining room, and was highly regarded in the slave community at Arlington House. Syphax was a leader among the Arlington slaves. Many of the most important decisions concerning the management of the household were left to him. Syphax and his wife, Maria Carter, had a large family. They lived on their own land adjoining the plantation. His health seriously declined in his final years. The Syphax children attained positions of leadership in the field of education and served as elected officials. Many of their descendants still live in Arlington County.